It’s just four months until the London marathon and we know that a number of Elite clients are in training for the big day. Four months is the time where runners should start their preparation for the big event as your body needs time to adapt to the particular strain that a 26 mile run will put on it. Not just your muscles and joints but also your heart, lungs and metabolic system. This is achieved through stressing the body enough to increase its limits on a regular basis. However, it needs to be carefully managed so that it doesn’t result in injury through trying to do too much, too soon. Rest periods are also important, as the body needs time to adapt and repair. Long, slow distance runs are the foundation. 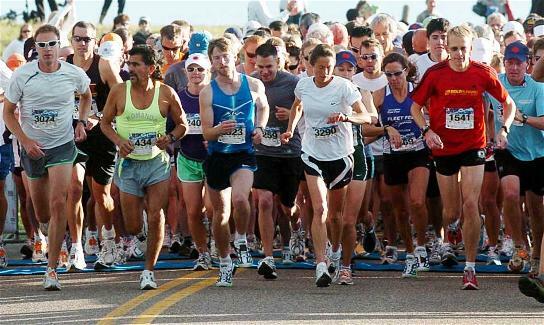 You should be aiming to build up to 18-20 miles a time but at a slower pace than you want to run in the marathon. This distance should be done about four times before the marathon, 2-3 weeks apart and the last no later than three weeks before the marathon. Tempo runs are designed to help you set a target pace. Begin by working out how fast you would like to run the marathon and divide it by the number of miles to give you the time you need to run each mile in. At least one run a week needs to be at this pace, and if you don’t achieve the desired pace time repeat it the following run. Once you get it right, increase your next tempo run by a mile. By four weeks you should be up to about 18 miles. Do not run more than 18 miles or do this after four weeks as you could risk injury and fatigue. 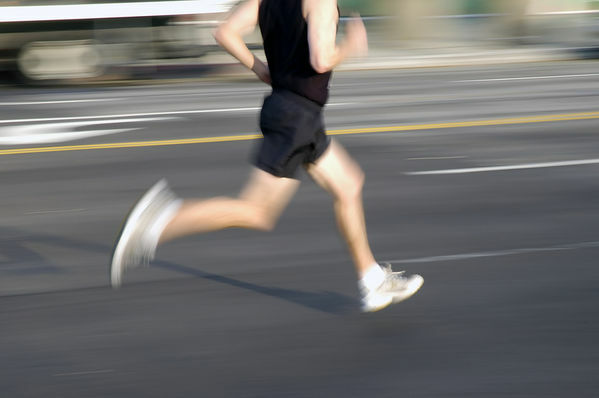 Speed work increases muscle strength and running efficiency, improving speed and endurance. It is usually done on an athletics track and involves running a distance in a fixed time followed by a short rest. Fartlek is similar but usually done when running on the road. Simply pick a marker ahead of you and sprint to it, then slow back to your normal pace. So, with four months to go, it’s all about building up stamina and endurance and working out the pace that’s right for you. Be careful not to push yourself too far too soon – you don’t want an injury hampering your training. Make sure you have at least one rest day a week to allow your body time to recover. Did you know that Elite Therapy has a Pilates for Runners class on a Tuesday at 6.30pm? It’s a great way to improve your running form and reduce the chance of injury.